While the issue of LNG funds continue between the Hides landowners and the government, the landowners of Angore PDL 8 are moving forward with their plans for development. 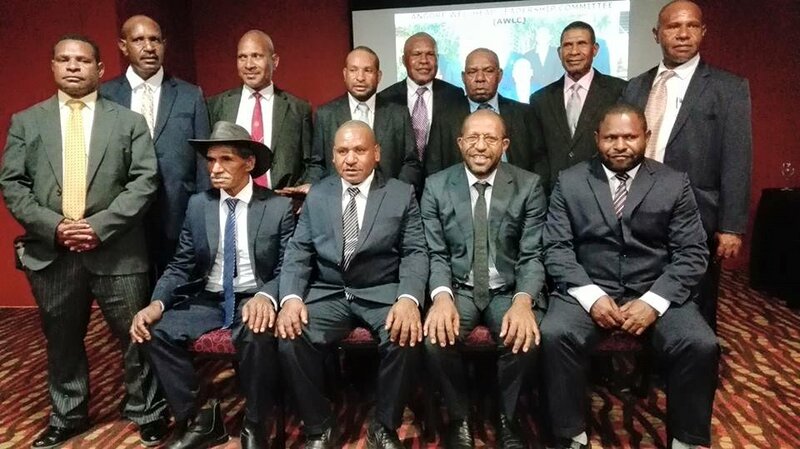 Launched over the weekend in Port Moresby was the Angore Well Head Leadership Committee (AWLC), an organisation comprising of four landowner members of the well heads in Angore in Hela which will work towards making sure their respective people get the benefits of the PNG LNG Project. Speaking at the launching the overall Chairman of the AWLC Mr. Hari John Agipe said the reason for the formation of the group is to fulfill a leadership vacuum in the area, to pursue issues by rules and regulations. “Seven years after the signing of the gas agreement, six years after UBSA and LBBSA, and after more than 200 shipment of LNG cargo, at Angore Well Heads some things are starting happening,” Mr. Agipe said. Agipe also thanked the Alternate Dispute Resolution (ADR) process for being conducted for the Angore well heads area making it possible for the identification and appointment of the four Chairmen. The Chairmen are, Mr Agipe himself as Chairman for Halapura Clan, Mr. Hari Elizah Timba as Chairman for Imika Clan, Mr. Tambiawi Tangilape as Chairman for Hiripali Clan and Mr. Tamule Kulu as Chairman for Pereke Clan. 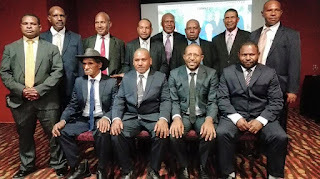 The purpose of AWLC is to provide leadership for the Umbrella Benefit Sharing Agreement (UBSA) and Licence Base Benefit Sharing Agreement (LBBSA) and to inform the government, the developer, Hela provincial government and stakeholders to respect and acknowledge AWLC and its leadership and to dialogue in the way forward for addressing benefits and issues concerning Angore PDL 8.